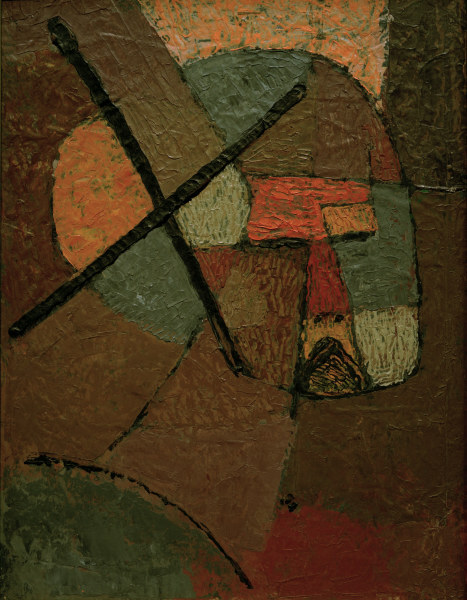 Paul Klee: “Uns trägt kein volk.” – the people are not with us. In 1937, the Nazis in Germany confiscated 102 works by Klee, of which seventeen were shown at the exhibition of Degenerate Art. His art was branded as 'degenerate', 'subversive' and 'insane'. At his death in 1940 from an incurable rheumatic disease, Klee left more than 9000 works of art, as well as many writings, essays, diaries and many letters. Location: centrum Paul Klee, Bern, donation from Livia Klee.